The image above was photographed close to the South Side of City Hall with lots of window light coming in. We placed the bride and groom in a position where the light coming in through the window would add a glow to her veil and also some nice natural light. 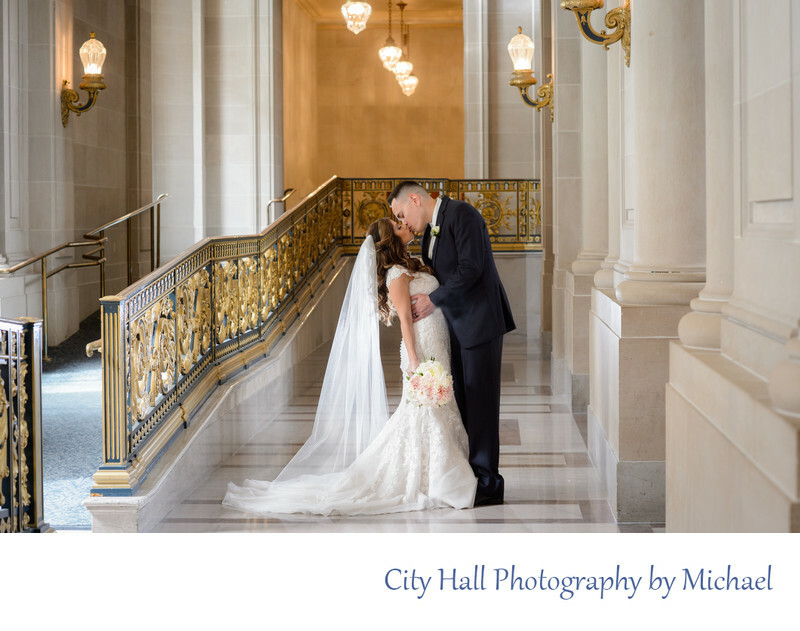 One of the smart reasons to hire an experienced professional city hall wedding photographer is that we know all the best places to create your lasting memories. This includes locations with the least amount of other people in the way and also the best lighting conditions.